This Saturday, 22 November, eight two-man teams will battle it out in the final of the Asus Open Overclocking Cup 2014 in Moscow, each looking to come away with a share of the $10,000 prize pot and the title of best European overclockers. 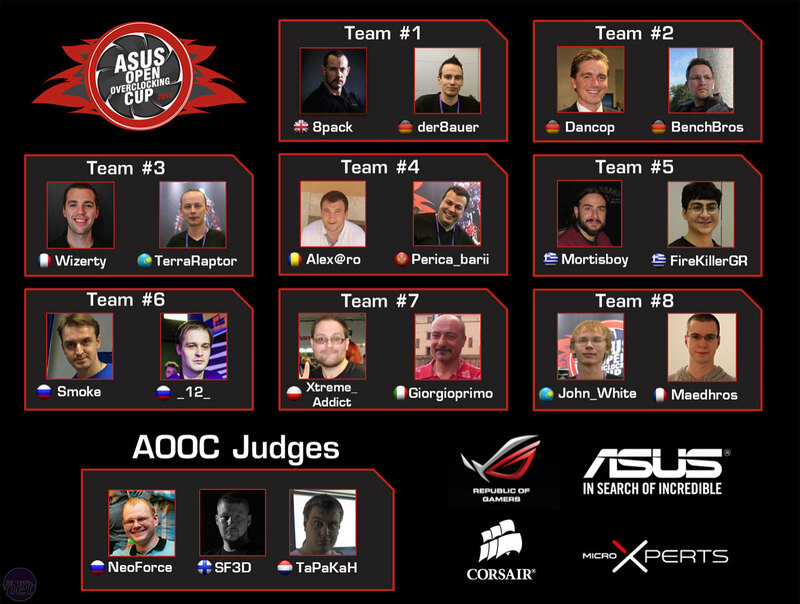 The AOOC is now in its third year, having started in 2012 as a local event for the best overclockers from Russia and Ukraine. 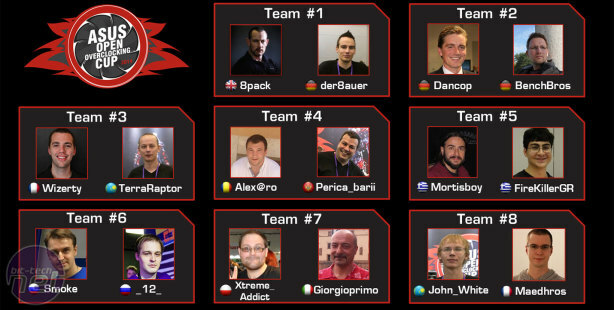 Last year, it went international, and this year sees it playing host to 16 of Europe's best overclockers from 10 different countries. Representing the UK is none other than 8Pack. Since we spoke to him last year, he has achieved his goal of reaching the global number one spot. His teammate is the 22-year old der8auer, one of three contestants representing Germany in the final. While his global ranking obviously isn't as high as 8Pack's, at seventh in the world (and first in Germany), it's not far off – they're not going to be an easy team to beat. Hosting the event will be the Moscow Cyber Stadium, Russia's largest cybersports club. Luckily, the contestants are all more than familiar with sub-zero conditions – there'll be plenty of liquid nitrogen on tap. 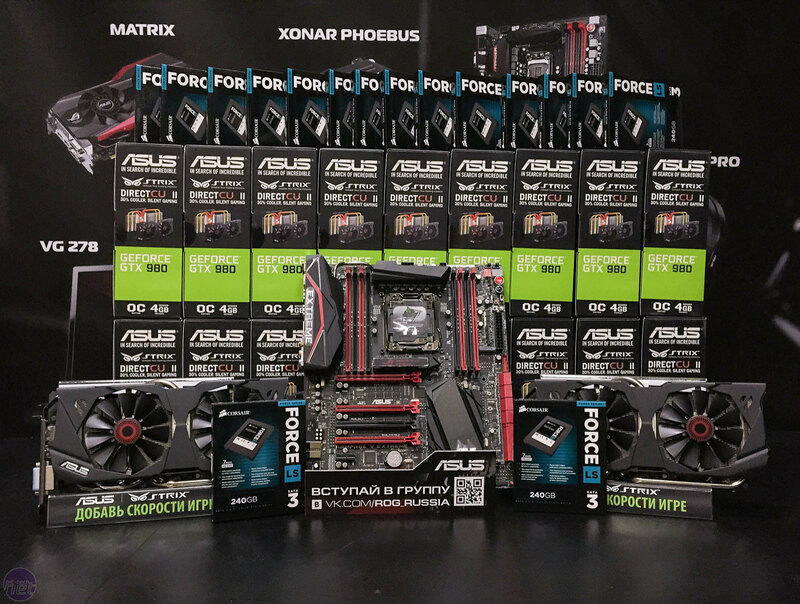 A live stream, hosted by OverClocking-TV on Twitch, will be broadcast here, with proceedings due to begin at 0940 local time (0640 GMT) on Saturday. We'll also be braving the cold and joining the contestants in Moscow this weekend to bring you the highlights and hopefully get in some interviews – if there's anything you'd like us to ask the finalists, especially 8Pack and der8auer, do let us know in the comments below. 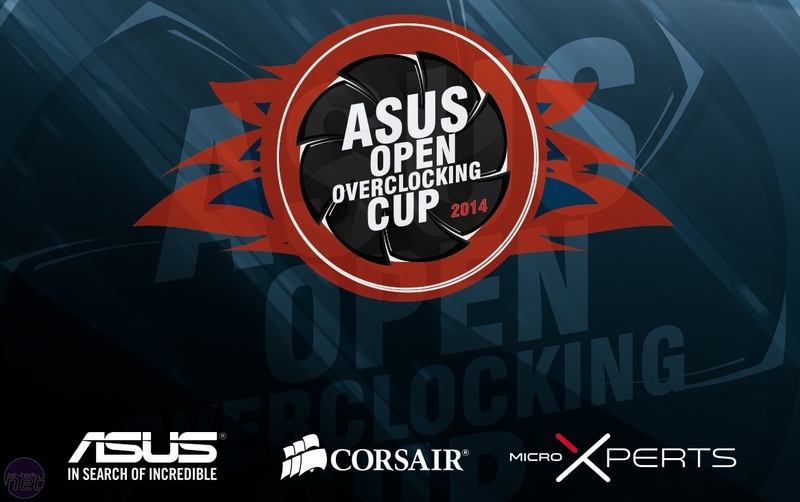 The AOOC 2014 is sponsored by Asus, Corsair and MicroXperts, and this is reflected in the hardware being used. Each team will be supplied with two each of the following (one per person): Intel Core i7-5960X Haswell-E CPU, Asus Rampage V Extreme motherboard, 4x 4GB kits of Corsair Vengeance LPX DDR4 2,800MHz RAM, Asus Strix GeForce GTX 980 graphics card and Corsair Force LS 240GB SSD. Each team's pair of SSDs will contain different OS installs; one will have Windows 7 SP1 64-bit and the other Windows 8 64-bit. All contestants get to keep this sweet selection of hardware (minus the CPUs) regardless of where they finish. On top of this, the teams that finish first, second and third will receive $5,000, $3,000 and $2,000 respectively. Corsair will also be supplying each team with an AX1200i PSU, and other hardware, including monitors, mice, keyboards, gas, a 2L Thermos flask and insulation paper is all provided. However, contestants will need to use their own equipment for LN2 overclocking. The 2D benchmark of choice is Cinebench R15, worth a maximum of 30 points for the top score. There are also three 3D benchmarks: 3DMark 11, 3DMark Fire Strike and 3DMark Fire Strike Extreme, which are worth maximums of 25, 30 and 35 points respectively. Each benchmark has its own deadline throughout the day for a best score to be submitted, and Fire Strike Extreme will be used as a decider in the event of a tie. 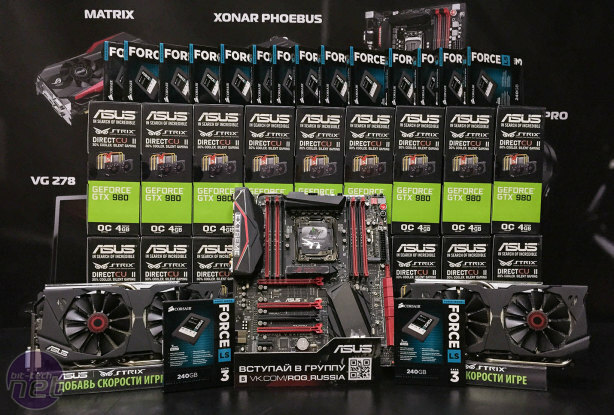 The motherboards, CPUs, graphics cards and DRAM kits will be randomly drawn, which keeps things fair given that no two pieces of hardware will perform or overclock identically. The Rampage V Extreme motherboards will be running the 0802 BIOS, which must be stuck to. However, GPU BIOSes can be flashed within the rules. Each comes with its memory already running at a massive 2GHz (8GHz effective), and Asus tells us each one is within 30MHz of the others with regards to the maximum possible overclock when running on air. Modifications to graphics cards (e.g volt mods) are also permitted.